@Havenstone Does the “traumatic animal death” in the Content Warning apply to the Plektoi or something else? 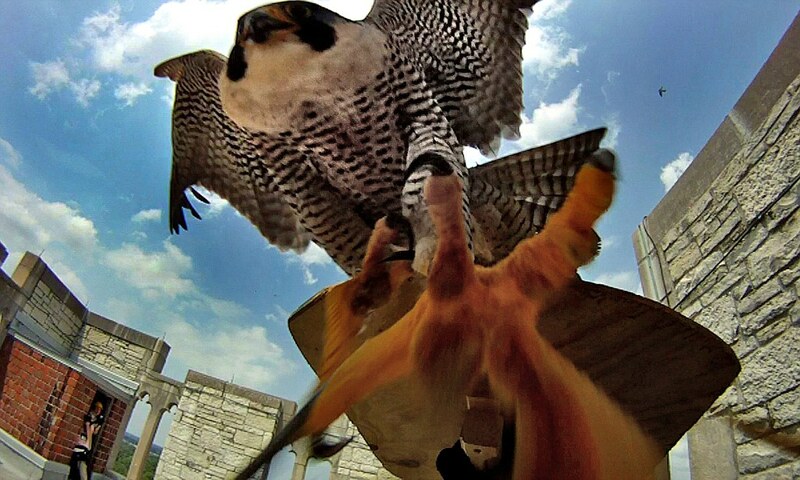 Could we eventually have falconers train their birds to attack flying Theurges? Fun as it would be, I’m not sure that’s possible. Falcons are small birds; getting them to go after their natural prey and bring it back to you is one thing, but trying to convince them to suicidally attack something twenty times larger seems implausible to me. Let me know if you find anything that suggests it’s been done! Will we be able to point our Rebellion’s R&D towards certain fields of study? Yes…but it’ll be a game or two yet before you have much scope for R&D, so I’m not going to commit to any particular field being on the list just yet. are freeborn servants in wide use? Yes. They’re more trusted for many things; the fear of being poisoned by your helots is reasonably strong across the Hegemony. some of us enjoy them. Including me! Please keep them coming. Helps me think on the boundaries of gameworld science and tech. Are all of the Hegemony cities (not counting Rim Square since it is not really even a city) on the map major enough to have Wards of their own? Nope, just the capitals: Aekos, Shayard, Wiendwic, Nyrnakan, and Soretto. Their purpose, at least ostensibly, is to protect the Archons from magi assassins and make it easier to keep order in the biggest city of each archonty. Or at least in their core neighborhoods; as you can imagine, large areas grow up outside the Ward. And there’s absolutely no way, ever, to “just drop a Ward for a couple of seconds so someone can cross,” not even for the Thaumatarch himself. There are gates in each Ward–heavily guarded, generally shut, with anything passing through them combed over closely by Theurges. If your flesh has been Theurgically changed (by healing, anti-aging, deliberate mutilation, Xaos-storm, auto-Plektosis, whatever), you’ll have to deal with the gate bureaucracy. If you’re an Ennearch, they might spare you the cavity search. Most people who can’t step across a Ward just have to accept that they’ll never get inside the core neighborhoods of a capital. at the very least, we’ll get an explanation for how Breden knew a Kryptast code, surely? I’m particularly looking forward to delving from both sides; both as a close companion and friend, and as a staunch enemy and nemesis. Both perspectives should give great opportunities to discover interesting information about Breden’s past, but in very different ways. That’s exactly what I’ll be aiming for. Quite frankly, in the long run developing high-yield, soil-fixing crops (I assume that the ability of legumes to repair the telos of soil is well known, and such a telos could be transferred to the roots of other crops) will be far more efficient than “we need an instant harvest!” blood expenditures. I suspect there may be a problem in that telos of a plant can be altered (even long-term) but not the DNA. Dee-enn-ay? Of what bizarre magic do you speak? Theurges can make heritable changes, but they need to understand the lifeform they’re changing exceedingly well, and as the changes get more radical the chances of rendering the lifeform sterile go up quickly. Even if the raft of changes involved in making a hound into a spiky whip-tailed tank didn’t sterilize it, the additional raft of changes to the reproductive system necessary to allow a female Plekdog to give birth to an infant version are beyond what any Plexpert can currently figure out. Welcome, @N1GHTMAR3! I haven’t yet written massive two-handed swords into the gameworld anywhere, but that doesn’t mean they won’t exist. Theurge-forging can be used for any bladed weapon, not just the swords and spears mentioned in Game 1. And yes, a Theurge metallurgist could make impenetrable armor as well, though the cost in blood would be far greater; a Theurge-forged sword is just trying to imbue a permanent change in the cutting edge (not even the whole blade), while armor would have to have it imbued it in every square inch. Does the “traumatic animal death” in the Content Warning apply to the Plektoi or something else? I was thinking both of the Plektoi and (perhaps even more so) the dreadful fates that can befall the horses of Hector and his veneurs down some paths in Ch 3. The zweihänder idea was inspired by this interesting Frisian rebel. As for impenetrable armor, that is very interesting. Despite the cost, I imagine, it would be quite invaluable, maybe moreso than the weapon. @Havenstone We were discussing snipers on the Discord, and I’ve two questions related to that. Can you enhance an arrow’s telos so it can fly unnaturally far? Can you enhance eye telos so the sniper can see unnaturally far? @Havenstone obout falconry well in old Spain was and art still is brought to us to arabs. I remember seeing docs on tv using eagles and that to attack bears and see big eagles carry our muflones that are big mountain goats with horns that weight like people. So if they can strike a big goat they can sneak attack a mage … Even if mage is flying due eagle kill pidgeons and other birds during flying i will try to check out and then I will tell you. I remember seeing docs on tv using eagles and that to attack bears and see big eagles carry our muflones that are big mountain goats with horns that weight like people. So if they can strike a big goat they can sneak attack a mage … Even if mage is flying due eagle kill pidgeons and other birds during flying i will try to check out and then I will tell you. @Havenstone I have not found anything suggesting it has been done, but I think it MIGHT be possible. based on behavioral conditioning and positive reinforcement. In simple terms, falconry relies on a food response system of training, where the bird is rewarded for repeating specific behaviors. Training raptors for falconry requires, instead, a food reward system (positive reinforcement) where a desired behavior is reinforced by the falconer each time it is performed. Through frequent repetition, a hawk or falcon begins to anticipate a food reward for behavior it associates with visual or auditory cues from the falconer. This is referred to as building up a “conditioned response.” For example, the bird earns food rewards by coming to sit on a gloved fist in response to a whistle or a fist raised in the air. This sort of behavioral conditioning applies to all eagles, hawks, falcons and owls, and must be observed during each phase of training. Once a hawk has been manned sufficiently to step up on the glove and eat readily on the fist, it must then be enticed to approach the falconer for food. This may be accomplished indoors with enticing morsels of meat held in the glove or attached to a lure. A lure is a dummy pulled by a line which is intended to mimic the prey species you desire your bird to hunt. Normally, falcons are flown to an imitation bird lure, both because the lure provides an excellent exercise tool and because it more closely mimics the natural prey of these bird-hunting predators. process is called “entering.” Just as the bird was conditioned to respond to the fist and a lure, it is now entered on a specific type of quarry–usually rabbit or squirrel for a red-tailed hawk; pheasant or duck for a large falcon. After the bird learns to take the lure representing the species it is being trained to hunt, it may then be introduced to wild game of that species. In this fashion, raptors can be conditioned to take prey not normally pursued in the wild, adding diversity and spectacular flights to the sport. University researchers in Ohio were forced to defend themselves with wooden shields as the birds swooped down at them, talons bared. Hawks attacking people who come to close to their nests happen every year in Connecticut, experts say. Golden eagles (yes I realize falcons are different but this is for comparison) can weigh up to around 13 (a different site said 15 but anyways) lbs but on occasion have preyed upon livestock weighing as much as 500 lbs. Raptors are more powerful than they seem. Many of them can injure and kill animals larger than you’d think, though doing so is more risky than is frequently worth, and, because birds are very lightweight for their size, the problem is that they can’t carry off prey animals much larger than themselves. Many mules also gave their lives for the Rebellion. If your flesh has been Theurgically changed (by healing, anti-aging, deliberate mutilation, Xaos-storm, auto-Plektosis, whatever), you’ll have to deal with the gate bureaucracy. Wait wait, so if we healed ourselves in game 1 we will have to cut our arm off to flee in the Xaos land? What about, say, making plektos falcons for this purpose? Dogs aren’t the only animal they do it to, right? In the long term that might work and perhaps someone else is already doing it. My initial idea had more to do with the fact that in the short term, we could acquire falcons and falconers but perhaps not large quantities of aetherial blood nor experienced Plektasts. Even if attacking Theurges is a suicide mission for the birds, I bet we could train new falcons faster than the Hegemony can train new Theurges. There are also horse and human Plektoi. I’d like to think up something clever to add to the thread, but nothing comes to me. I do have a story about something that happened to me today, though. I was setting up the story of kurios Nikolaos de Maeos to carry it over to Game Two, and I was following Ramidel’s guide to surviving the winter. At one point, I stop following their rules and giving some space to my own ideas on how to run the band. It was going excellently: low anarchy, tons of barley, high morale. Kurios Nikolaos got a child named after him, dodged the Theurges and made some drachems smuggling goods over Whendward. That is, until it came to raiding the Architelone, where I decided not to use the phials. My noble MC fainted, anarchy spiked and I lost a bunch of rebels. Ever since then, all my attempts at surviving the winter have been kinda bad. First i love the name!!! And It is great for me remember that my low revolution has advantages. I HAVE NEVER EVER HAVE WINTER PROBLEMS well i have one my food rotten as i have more food than people. Good catch. That wouldn’t work at all, would it? The healing that just involves speeding up the body’s natural healing telos doesn’t keep you from crossing a Ward. More radical healing – regrowing a severed limb, removing a tumor or disfigurement, correcting myopia – would. This clarification could dovetail with the crop science part. You could speed up the lifecycle of a plant without modifying it. That would allow for rapid and specifically tailored selective breeding while not modifying the crop directly. Also allows the crop to cross wards which would be vital for feeding the urban population. Thanks, Mara. I always like to make my own name to the characters in big, sprawling series, and I always end up obsessing over the nuances of in-world naming. Ramidel’s guide is great if you want to try it, though. I mean, the yeomen won’t like it, but you’ll get plenty of barley and mules.